Could you put on a display? We now have a number of these estate agent-type signs for display around the area. Could you be one of those households/properties where these signs would be seen by passers-by? The signs have been paid from the funds you’ve helped to raise over the last year so it’s a big thank you to everyone who has contributed and supported the campaign. 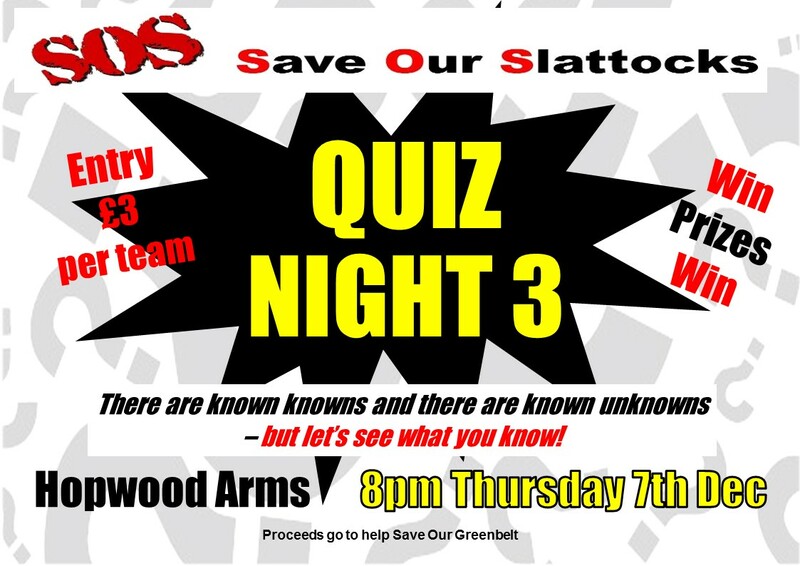 So let’s remind everyone how passionate we are in ensuring that the local greenbelt is not lost under tons of concrete and that we, and visitors to the area, are still able to enjoy it and get a breath of fresh air. 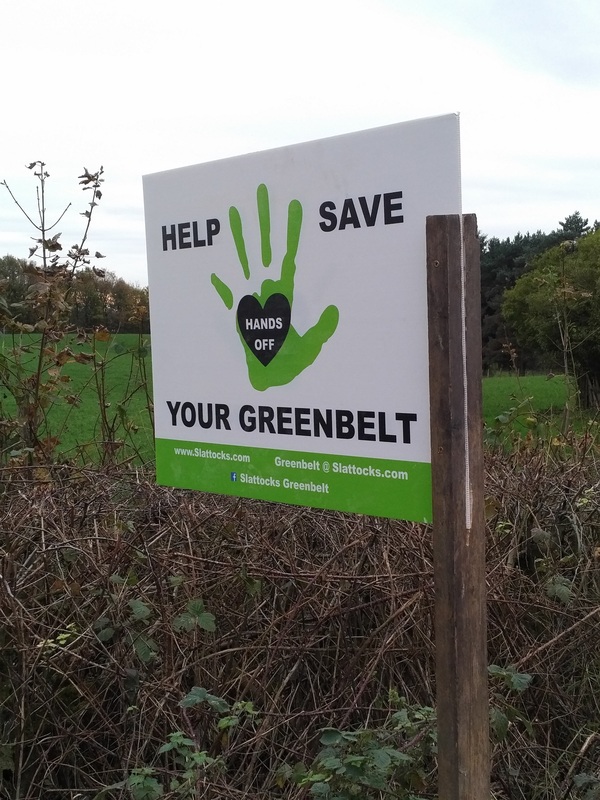 Get your sign and show people that you’re doing your best to Save The Greenbelt by emailing greenbelt@slattocks.com . If you’re not able to erect the sign yourself, this can be arranged.